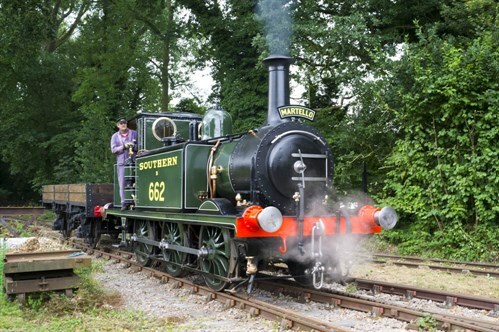 A full day driving experience on Martello 662 our standard gauge terrier tank engine. In the afternoon participants will be involved with some shunting, and will eventually couple up with a wagon and a Brake Van, learning about vacuum braking systems and spend the remainder of the afternoon hauling these wagins up and down the line. At around 3pm the particpiant will assist the crew in putting the engine to bed. Guests tickets include entry to all of Bresisngham and Narrow Gauge Rides. They are unable to take part in the experience or travel with you.